Vaggaro – a modular foldable baby furniture that will quickly become indispensable for both big and little family members. It provides a sense of security to the baby who can always stay close, and at the same height as their parents and its low weight of 1.6 kg makes it easy for parents to bring the furniture along, in and outside the home. 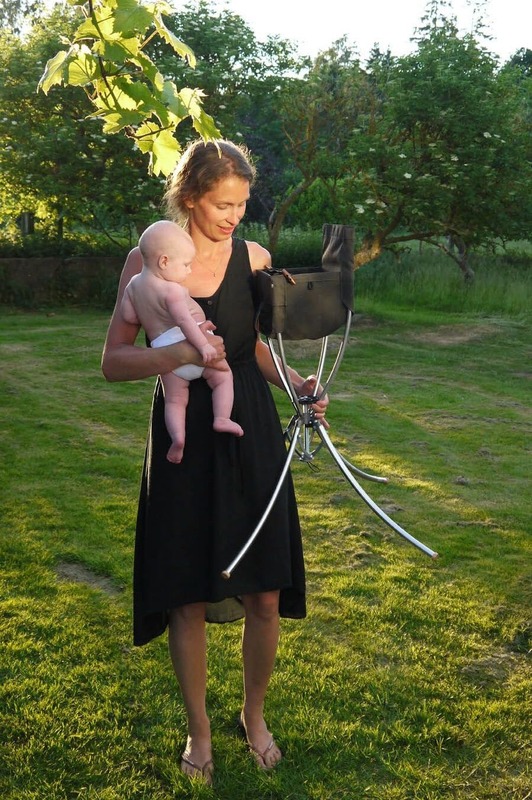 The Vaggaro line, consist of a Cradle, Bouncer and a High chair – all mounted on the same patented folding stand. The only thing that needs to be changed as the child grows are the textile modules. 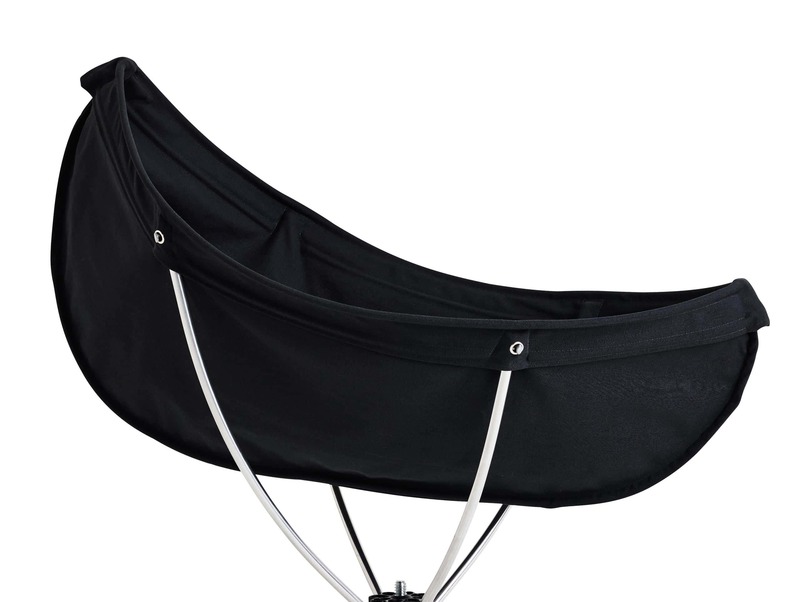 Vaggaro Cradle is a snug and soft cradle in cotton fabric in which your newborn baby will be resting safely and comfortable the first months of life. The pliable fabric adapts to the baby’s body and gives a cozy feeling. Thanks to the low weight it is easily moved between rooms, which means that you can always have your child safely and close, whether you are in the kitchen, at the diner table or brushing you teeth. 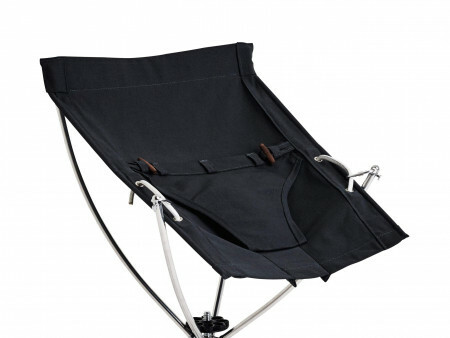 The low weight combined with the quick folding mechanism is also an advantage when it comes time to leave the home. The cradle is easily packed into the complementary bag so that your baby can rest in a safe and familiar environment no matter where the family is. 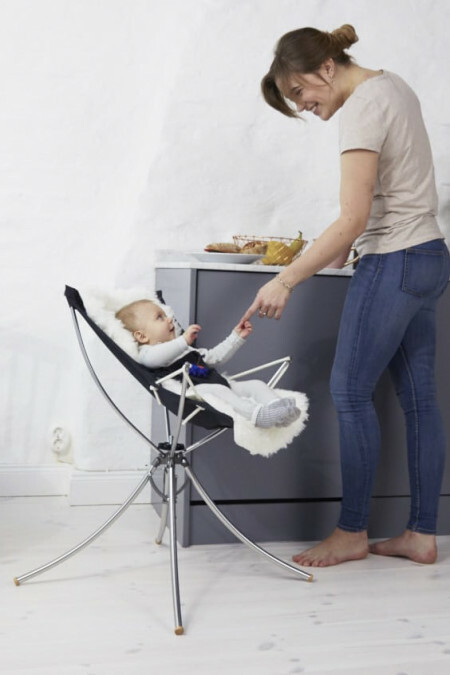 With Vaggaro Bouncer your baby can sit and swing comfortably both on floor level and the height of a sofa or dining table, depending on what the family is doing. This is possible thanks to the stepless height adjustment mechanism. By always having your baby at the same height as yourself, you will create a sense of security and togetherness by letting the smallest member participate in the family’s everyday activities. The bouncer’s pliable fabric adapts to the baby’s body and the seat’s angle and dishing are easily adjusted for an optimal ergonomic position for your baby. 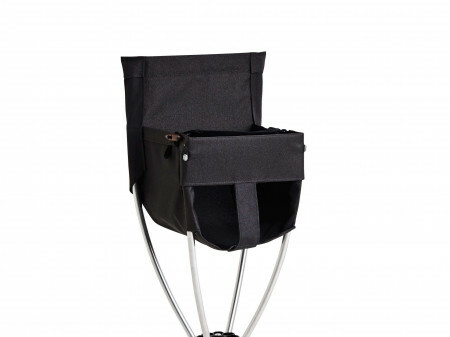 In the Vaggaro high chair, your child sits safely and comfortably at the dining table. 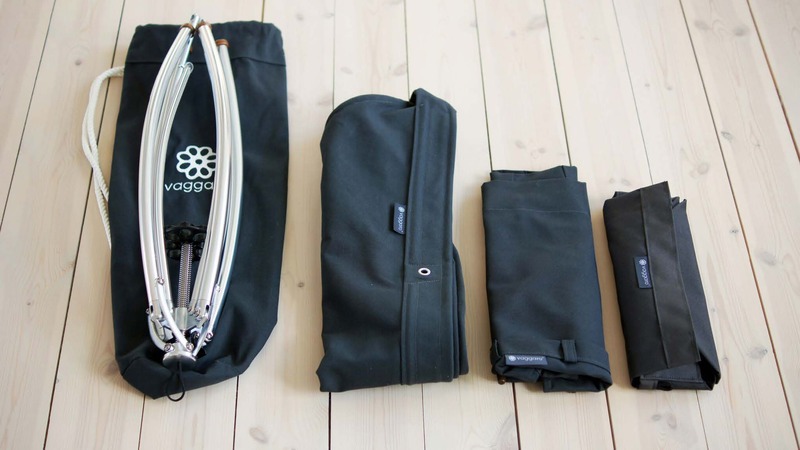 With its unique quick-fold mechanism, it can easily be packed into a bag and brought along when the family is going out. But it is also a high chair, which, thanks to its unique design, soft fabric and adjustable height mechanism is equally appreciated at home around ones own dining or coffee table. The pliable fabric seat adapts to the child’s size and provides a narrower support for your child than a traditional high chair so that you do not have to prop up with pillows or cushions in the beginning. To fold or unfold a Vaggaro only takes a few seconds, which makes the high chair a perfect travel companion wherever the family is heading.